Prepare macaroni and cheese dinners according to package directions. Cover and set aside. 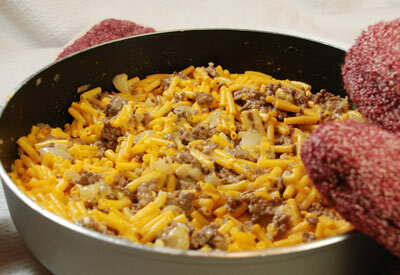 In large skillet, brown ground beef and onion; drain. Stir in mushroom soup and heat through. Add macaroni and cheese; mix well and serve.